When I compare Christmases past to Christmas present (the time frame, not the gift), I’m struck that as we pass through the seasons of life, we experience Christmas differently. When I was a kid, Christmas was all about getting presents. 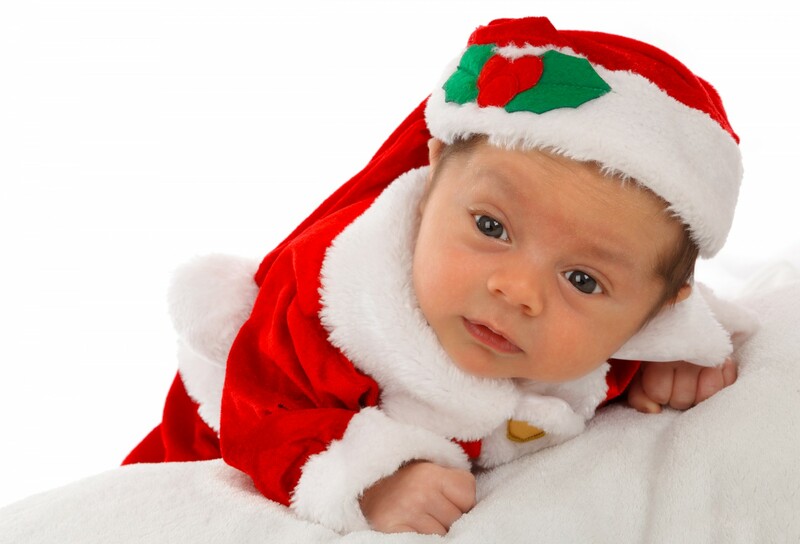 Even though I grew up in a Christian home and loved baby Jesus (what’s not to love about babies? ), my main focus in December was toys. I remember my mother sitting me down at the kitchen table with a Sears catalog and a piece of looseleaf paper, telling me to list a few suggestions for Santa. Soon, I’d ask for more paper. “Only write down the things you want the most,” my mother instructed. We lived in a town where many people were well-to-do, but my immigrant parents struggled. I was jealous of my friends, who didn’t have just one doll, but doll collections and wardrobes; they had stacks of games, but I only had a few. I didn’t understand why Santa brought them so many toys. I was an angelic child; my friends were naughty. Shouldn’t I be getting at least as much as they? The inequity of Christmas was beyond my understanding. 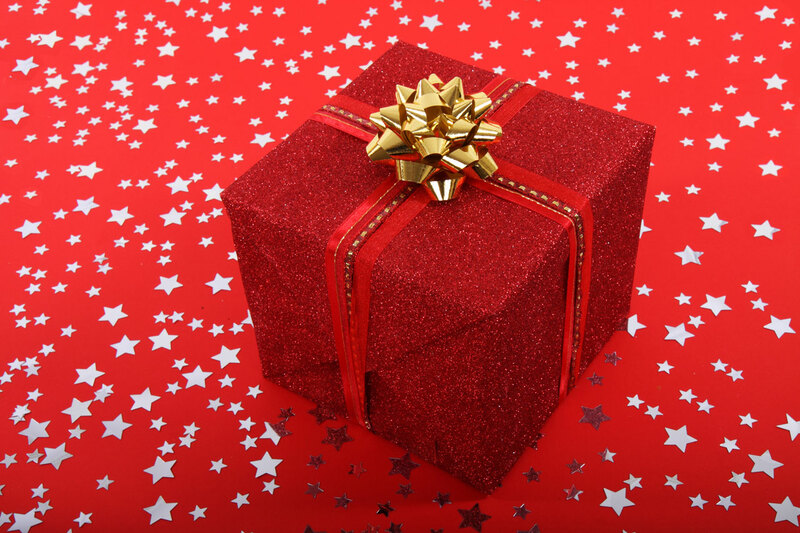 As I got older, the focus shifted away from receiving gifts toward giving them. In elementary school, we generally made gifts for our parents in class. Now I had to think of gifts on my own. I don’t remember what I gave my parents, but I earned a little money babysitting or from part-time jobs, and I budgeted for my family (including my little brother) and my friends (especially boyfriends). Mostly, I gave inexpensive gifts, but for my boyfriends I bought engraved pewter mugs or cufflinks or medallions (hey, this was the late 60s and early 70s). As much fun as Christmas is with small children, I remember those years as stressful. 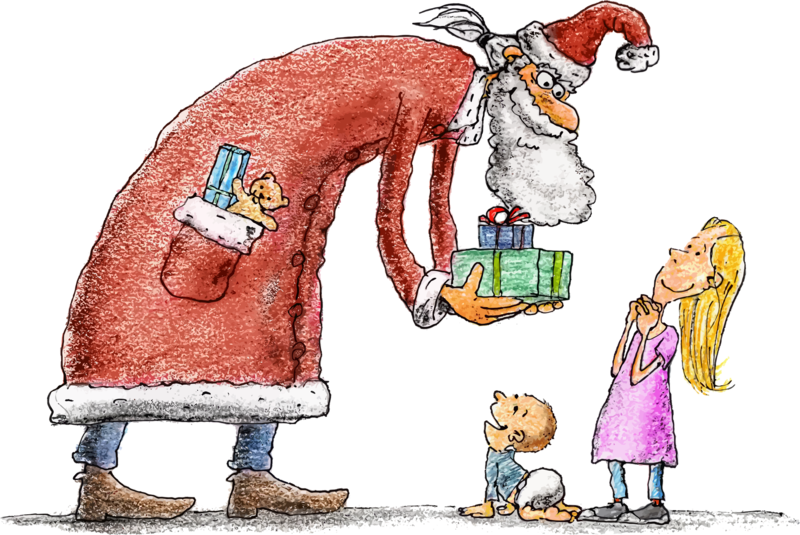 Though my five kids loved Santa, I tried to redirect them toward the spiritual aspects of Christmas. I read them books about the birth of Christ. They participated in Christmas pageants at church. I helped them make gifts for our neighbors. It’s hard to provide multiple presents for five kids on one teacher’s salary. I sewed pajamas and clothes and doll quilts for the girls, and made handmade gifts for my friends and parents. Things my children needed were saved until Christmas. And then we scrambled to find at least one special item for each child, usually charged on a credit card, paid off slowly. After we moved across the country, my parents started sending us a check in December. They’d always bought gifts for their grandchildren before, but the separation was now too vast to know all their preferences, and shipping presents would have been an extra expense. While I love my parents for their generosity toward us, it also meant we had the extra pressure of shopping for their gifts to the kids as well, or else spending the days after Christmas taking the kids to stores to pick out their gifts (exciting for them but exhausting for us). And there’s the logistics of wrapping and storing all those presents. I didn’t want to wrap while the kids were up and about and could catch me in the act, which meant I had to wait until they were asleep. I often wrapped presents way into the wee hours of Christmas morning. In the meantime, our closets and dressers and garage and car trunks were stuffed with boxes. Having five kids in ten years meant that some years we had students in three different schools. Three different schools = separate winter concerts to attend. And I was also in our church choir for five years, and the handbell choir for two. Lots of rehearsals. Lots of performances. Lots of teacher gifts. Lots of running around. 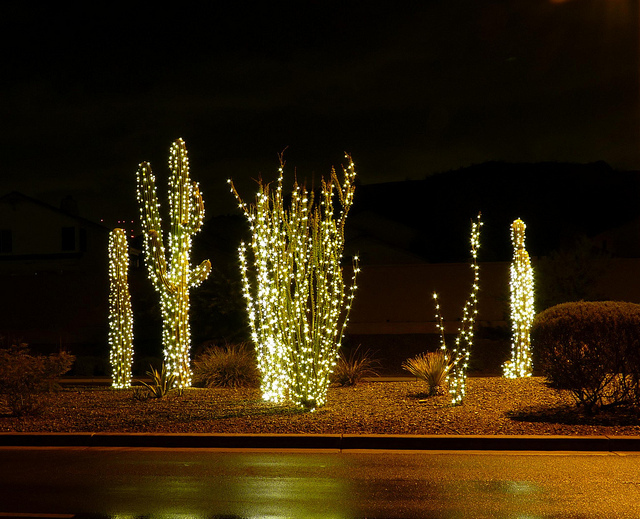 Speaking of moving across the country—in Arizona, Christmastime is different than in New Jersey. Our first Christmas here, we were invited to dinner on our neighbor’s patio. Greg and the kids profess to miss the snow. I don’t. I happily admire pictures of snowy landscapes, but I prefer weather I don’t have to shovel. From my current window, I can see green trees and turquoise skies. My view in New Jersey Decembers was shades of gray—bare trees, dead grass, dirty snow along the road (if there was any snow, which didn’t always happen at Christmas), and an overcast sky. The eight years I taught in the twenty-first century (as opposed to the four years I taught before I had kids), Christmas at home had to be drastically simplified. Part of that was because I spent long hours working in my classroom after school. Also, as the music teacher, I produced the musical portion of the kindergarten gingerbread house celebration, as well as two assemblies and a winter concert at the State Capitol with my chorus. Before my return to teaching, I used to send out a newsletter with my Christmas cards, filling everyone in on my entire family’s activities and accomplishments during the year. With teaching duties I barely had time to send cards—and some years I didn’t. Christmas is so much more relaxed now. 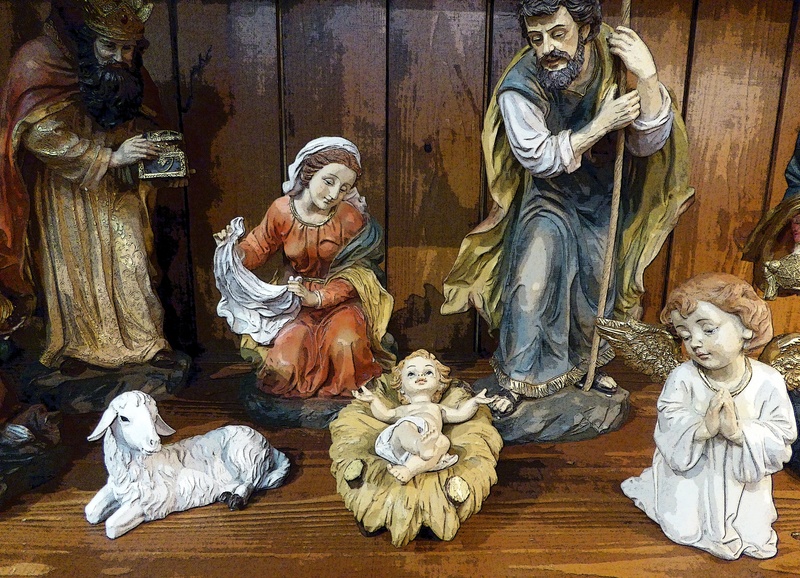 With no jobs, we have plenty of unscheduled time to tackle Christmas activities, and time to meditate on the heavenly miracle of God assuming human form to sacrifice himself on our behalf. With our children grown and living on their own, Greg and I no longer have to hide wrapped packages. Although we don’t have the excitement of kids waking early in the morning to open presents, our four offspring who live nearby come home for dinner or at least dessert, and we exchange our gifts then. How about you? Was there a season when your Christmas was especially magical? What is your favorite way to celebrate? Share in the comments below. When our son, Rob, born in 1972 just before Christmas, joy infused life all around the season for us after losing two baby boys. His sister opened his presents for him. Jesus seemed so real with a newborn snuggled in my arms. Thanks for sharing, Andrea. You’re so right, Andrea. Christmas changes depending on the season of life we’re in. In hindsight, all of them are memorable, beautiful, fun, and I wouldn’t change a thing! But I’m really enjoying these “retirement” years with the kids and grandkids now. Love this post!